Are your kids bored of their toys? Here are some water play ideas that you can DIY at home, the best part about these games is that you may end up with a cleaner kid! The popular ice-cavating game is fun for all ages. Simply get any tub or large container, fill it with water and throw in your kids’ favourite (waterproof) toys. Take it out to a grass patch and give them tools like a magnifying glass, buckets of water and a child-friendly mallet for them to free their toys! Grab a large and sturdy plastic bag and fill it with water, then add some toys in if you want to. Blindfold the kids, give them plastic sticks/batons and let them take it down! Use sponges you can find around the house and cut them into chunky strips. Tie 5-6 strips together with disposable elastics in the centre and you have a sponge ball! 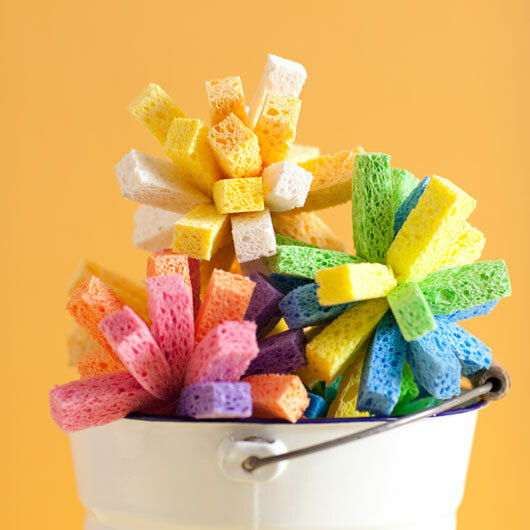 Wet them in a bucket and the kids can fire away! Suitable for the younger ones, get some painting tools like brushes or rollers and have them use water to create patterns on surfaces near the house. Unpainted cement or wooden benches work the best. You can also take them to a park bench (where nobody is sitting of course) and let them have their fun with the water as their “art” will simply dry up later! If you’re lucky enough to have a backyard or outdoor play area near your house, grab a 1.5 or 2 litre plastic water bottle, poke some holes along the side and simply connect your water hose to it. The kids will love prancing around in the “rain”! In disposable cups, mix about 2 tablespoons of washable paint with half a small cup of water, and stick a popsicle stick in. You’ll have to freeze the paints and prepare for the mess. 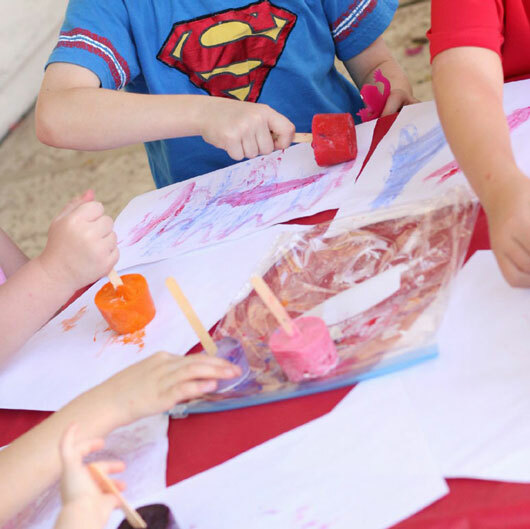 Once frozen, you’ll have paint blocks on popsicle sticks ready for the kids to express their creativity on paper! Simply fill a large basin or kiddie pool with water and add sand and seashells into it. Let the kiddos get in, or prod around with their hands carefully, letting them have a sensory learning experience. Save the hassle of travelling to the beach and bring the beach to your house! Get some supplies and try them today! Food Republic Is Giving Away 15 Pairs Of NDP 2018 Tickets!